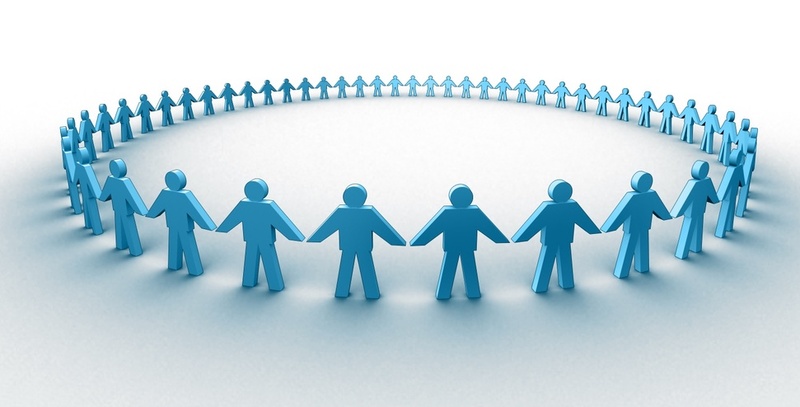 Of particular interest to alumni, click on the "Recognition Page" tab. On this webpage, if you click on the words "The Wall", you will be able to view the narratives of three outstanding alumni from our class: Tad Oelstrom, Bob Davis, and Jean Oettinger. Several years ago, our high school created The Wall to recognize notable achievements of Blackshirts who distinguished themselves after graduation. In May, 2016, we were contacted through our website by an incredible young student at the University of Wisconsin-Madison, Erin Miller, regarding our classmate Paul Gee. Paul was officially Missing-In-Action on January 16, 1968, and later declared officially deceased by the Department of the Army. 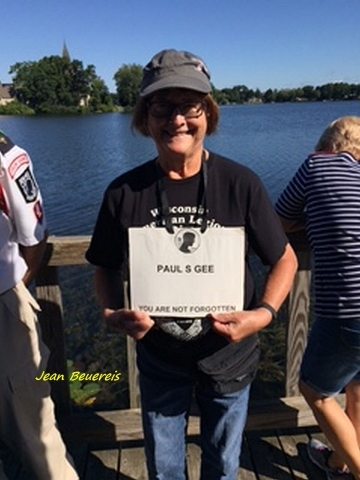 Erin Miller was doing background research of the 37 servicemen from Wisconsin who are, or were previously, listed as missing from the Vietnam War and asked us to provide us with any information on Paul from when we knew him. A broadcast email was sent to our classmates through our website and several classmates responded. From that, we were able to establish contact information for Erin with his fraternity at Carroll College (Univeristy). We also provided her with several pictures of Paul from our yearbook and his Carroll yearbook. Erin was kind enough to send us the very well-written narrative of Paul's background and the circumstances of his airplane crash. She is quite talented, and her narrative serves as a tribute to our classmate and hero, Paul Gee. You can view her narrative by clicking here. 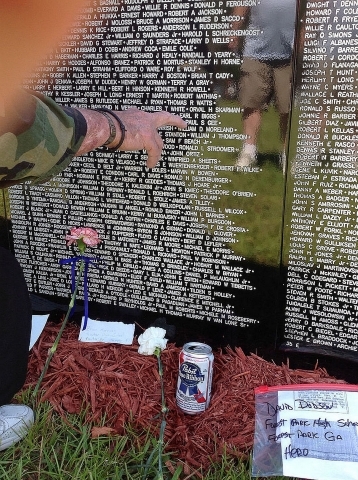 Also, you can view the tribute to Paul on the Vietnam Memorial by clicking here. 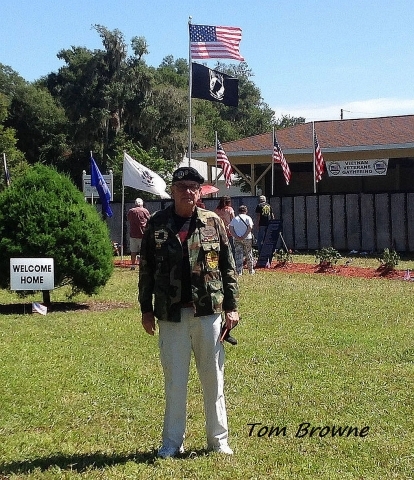 Also, our classmate and purple heart recipient Tom Browne recently visited the traveling “Wall” and found Paul Gee’s inscription. Click here and here to view. 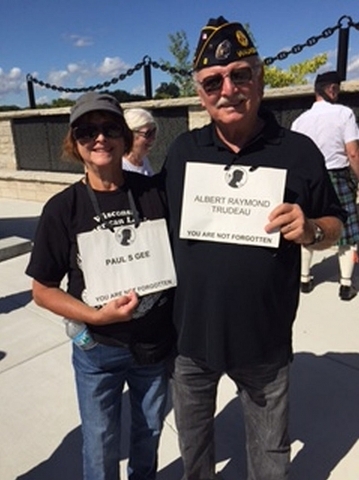 We also received an email from our classmate Jean Beuereis who recently honored Paul Gee at a silent march to honor our Vietnam MIAs/POWs. Click here and here to view. Want to connect with other Blackshirts while in Waukesha? They meet every Friday morning for breakfast. Several years ago, our beloved coach Ken Hollub required some major surgery and, during his recuperation, needed a little R&R to get him out of the house and active again. That's how a Waukesha High School phenomena started in the form of a weekly gathering of coaches, classmates, family and friends at a local restaurant. As word spread, the Milwaukee Journal-Sentinel picked up the story and, well................ here's the rest of the story... click here The BBG was born. Contact information is Lee Oettinger, webmaster for this website. 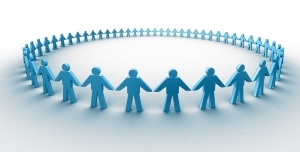 Contact information is Mike Rose, webmaster for this website. Contact information is Jack Dresdow, webmaster for this website. 1968: Contact Linda "Hildebran" Martin.....harley1mar@att.net more details soon.